Hey, there! 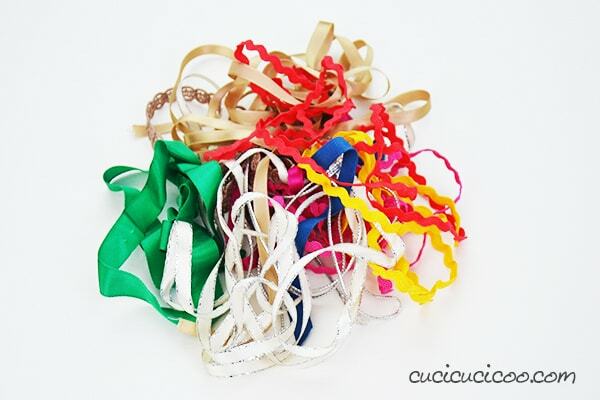 My name’s Lisa and I’m the founder of Cucicucicoo: Eco Sewing & Crafting! I publish tutorials for creating beautiful and fun clothing and objects with respect for the environment. I love making something cool out of “nothing”, or what most other people would consider trash. 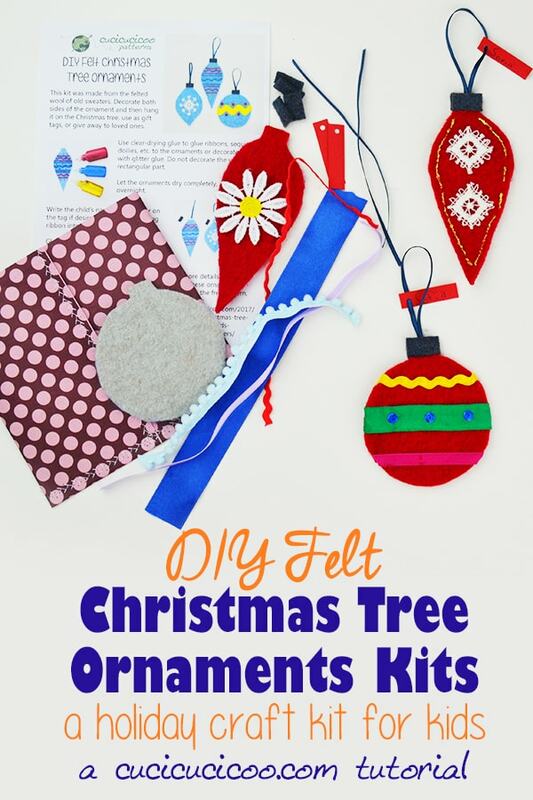 I’m so happy to be here with Vicky today to share my tutorial for the gift that I gave to most of my family’s and friends’ children last holiday season: DIY felt Christmas ornament kits! I collect old sweaters and felt them in my washing machine (find out how to felt wool sweaters here ) to make one of my favorite crafting materials. The felt that comes from these sweaters is really thick and lovely, perfect for creating with! Last year my children and I cut up a few felted wool sweaters and decorated them for fun faux-baubles to send off to our loved ones. Then I got the idea to give the gift of craftiness to the kids in the families we are closest to, rather than finished ornaments, and made some felt Christmas ornament kits for them, complete with instuctions on how to create these fun holiday crafts. 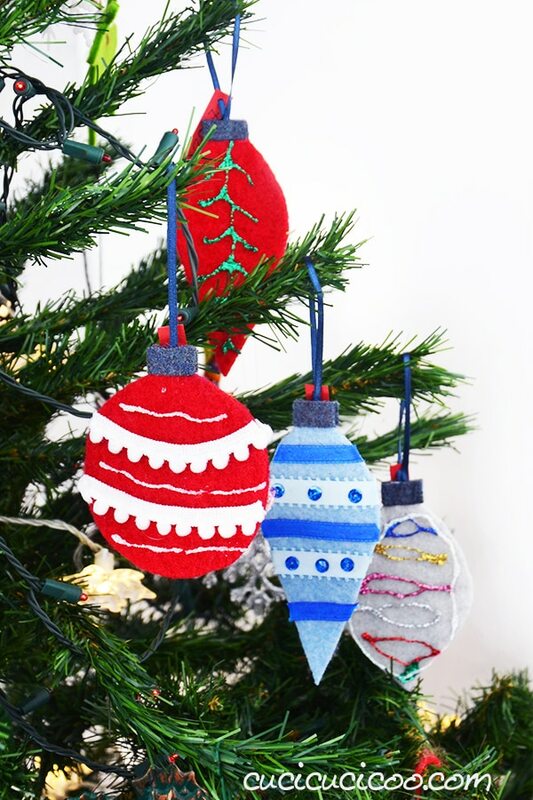 These felt Christmas ornament kits are really easy and quick to put together, and the children who received them last year really had a ball with them! They are a great, creative, and eco-friendly gift! Let’s get started! • Ribbon, ric-rac, yarn, pompom trim, etc. • Sequins, pompoms, small doilies, etc. 1. Felt the wool sweaters in the washing machine . 2. 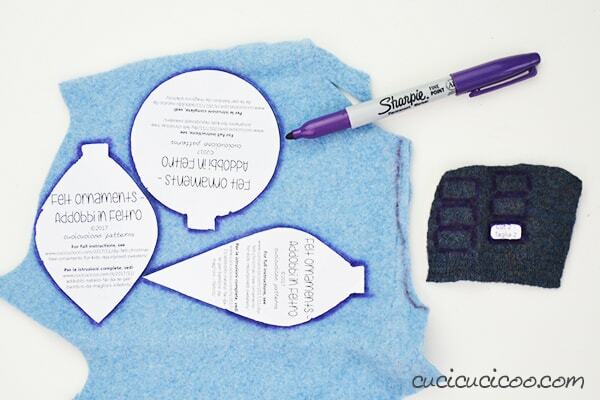 Use the felt ornament template to cut out the ornament shapes and tops. I put three different ornament shapes in each kit, but feel free to do as many as you want. 3. Cut pieces of ribbon, ric rac, and other fun notions long enough to go across the ornaments at least twice (so that the front and backs can be decorated the same, if the child wants). Also cut a 14 cm of thin ribbon, cording or yarn per ornament for hanging. 4. 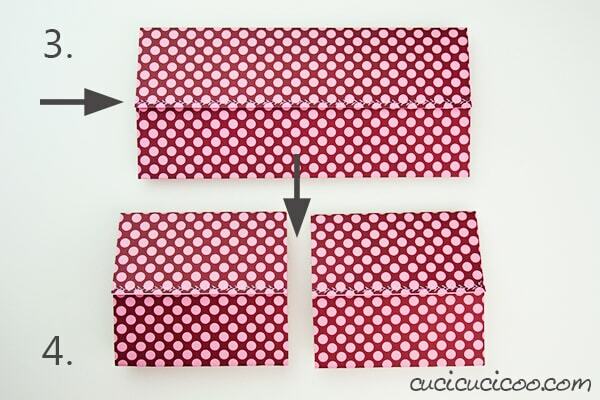 Cut out one 1 x 4 cm rectangle per ornament from cardstock and punch a hole in one end. 5. 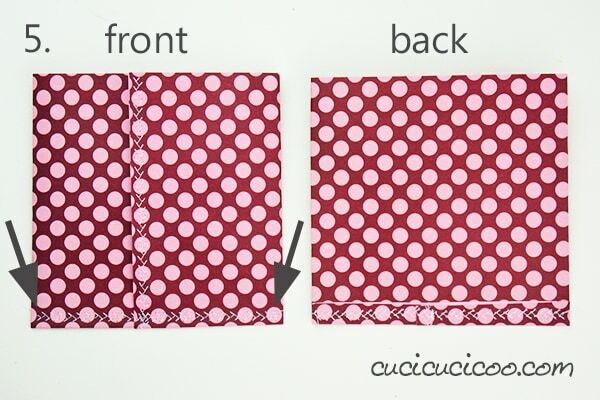 Fold the scrapbook paper in half, wrong sides facing. Line up the edges and hold them in place with Wonder Clips (#1 above). DON’T crease the fold because you don’t want a crease in that position! 6. 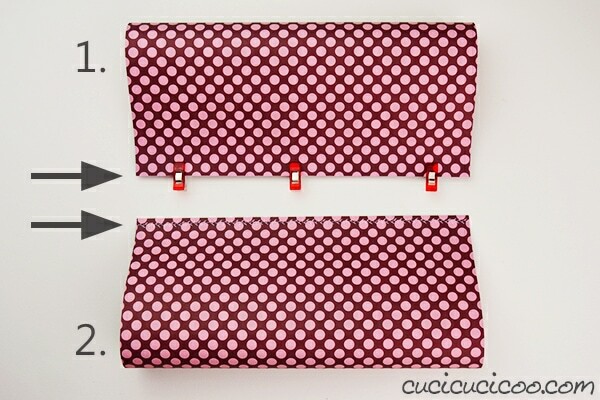 Sew down the edge with the Wonder Clips with any stitch you like (#2 above). I like using my sewing machine’s feather stitch, but feel free to use whatever stitch you prefer. 7. 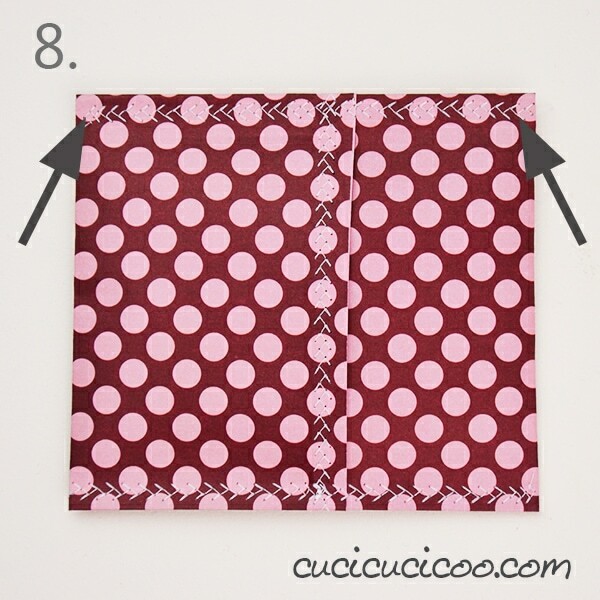 Fold the paper flat with the seam on top (#3 above). 8. If using 16 x 16” paper for kits for three ornaments, cut the paper in half (#4 above). 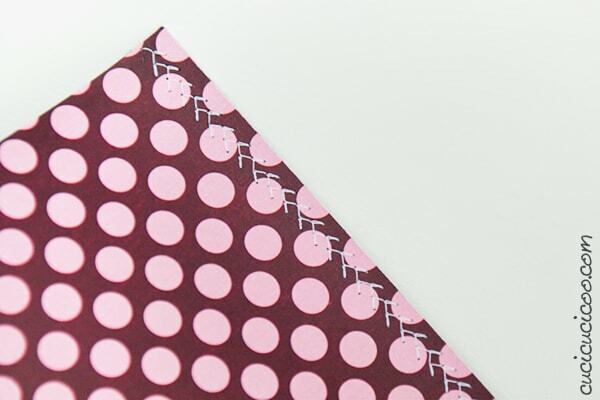 You might need to keep your scrapbook paper whole, or just trim off a bit, depending on its size. 9. Keeping the seam facing up, fold one open end under by about 1 cm, hold it down with Wonder Clips, then sew down that side (#5 above). The image above shows the front and back of the envelope at this point. 10. Fold the instruction sheet in fourths and stick that, along with all the felt ornament pieces, name tags, ribbons and other decorating materials, inside the envelope (#6 above). 11. Still with the center seam facing up, fold the remaining open end under by about 1 cm, and hold it down with Wonder Clips (#7 above). 12. Sew down that last side (#8 above), and you’re done! 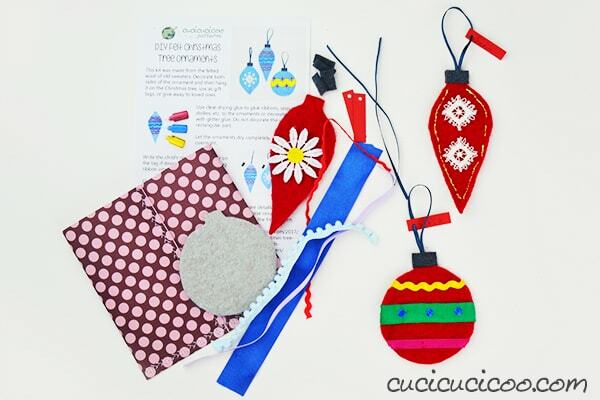 Now you have some great felt Christmas ornament kits to give to your favorite crafty kids this holiday season! 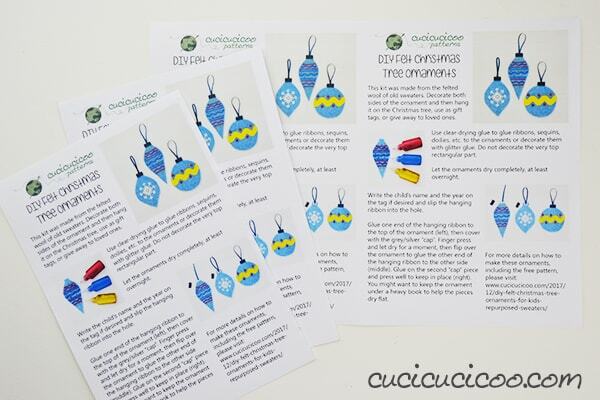 These kits are such a fun surprise and children have a great time decorating the ornaments to their hearts’ delight! 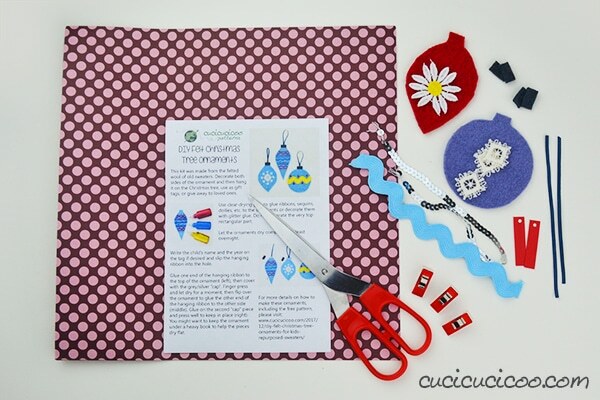 I hope you enjoyed this tutorial and try making one of these easy crafty kits for children! If you did, please save this project to Pinterest! 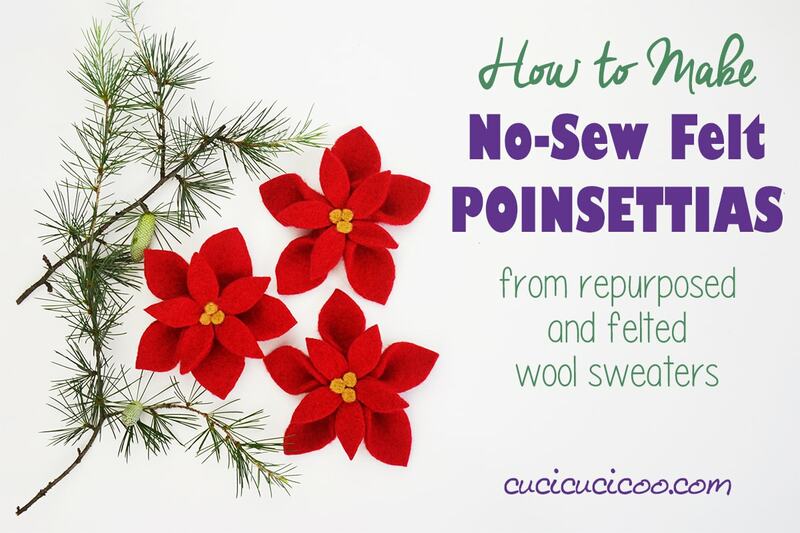 If you want another idea for using up those old sweaters, make sure you check out my no-sew Poinsettia Decorations ! And hey! 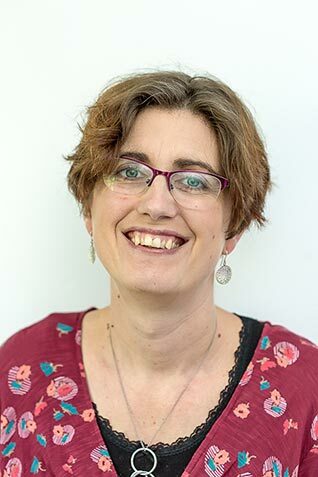 While you’re at it, why not sign up for my bi-monthly Newsletter for lots more great crafty and sewing projects, as well as free patterns and sewing lessons?! Just fill out the form here to sign up for the Cucicucicoo Newsletter , and you can expect lots of goodies in your inbox! Thanks so much, Vicky, for hosting me today, and make sure you stay tuned for more in her 12 Days of Christmas DIY gift series! Big thanks to Lisa for this fun kit, perfect for a crafting gift for children. If you love working with felted sweaters as much as we do check out my DIY hand embroidered felt Christmas Brooches, perfect for temporarily transforming a sweater into your own very ugly Christmas sweater! Here’s more of the 12 days of DIY Christmas gifts.